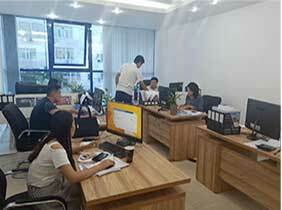 In order to offer customers considerate service, Aimix Group has estabilished LBS all over the world. The LBS center is now available in these countries: Sri Lanka, Indonesia, Philippines, Pakistan, Uzbekistan and Russia. In the future, Aimix is looking forward to estabilishing at least 50 LBS centers in the world. The LBS centers plays an important role in the after-sale service. 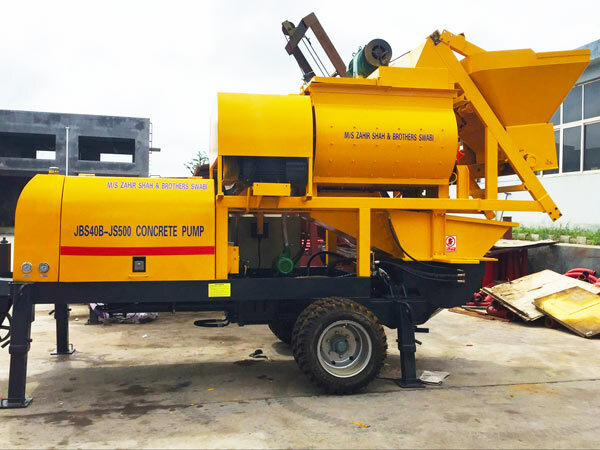 Taking concrete mixer with pump for example, if there is something wrong with your concrete mixer and pump, our LBS center would arrange our engineer to check the equipment immediately. Besides, providing components is easier and quicker. It can bring great convenience to our customers. 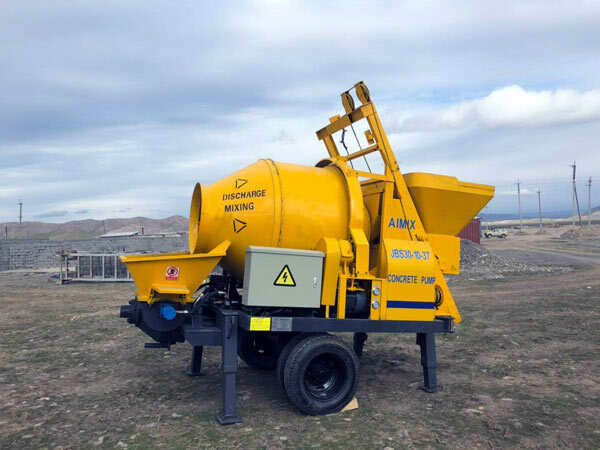 From the below picture, you can easily find that Aimix concrete mixer with pump after-sales service is in progress. 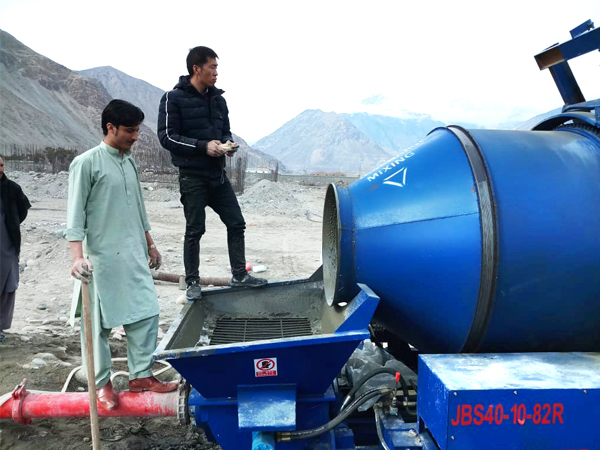 Our sale and engineer would come to many construction site and investigated how does our concrete mixer machine with pump work. At the same time, if there is small problem on our concrete pump machine, our engineer would free check and repair it. That’s one of reasons why to estabilish LBS centers all over the world. It will be convenient for after-sale service in local and surrounding places. For after-sale service, we will carry on four times a year. 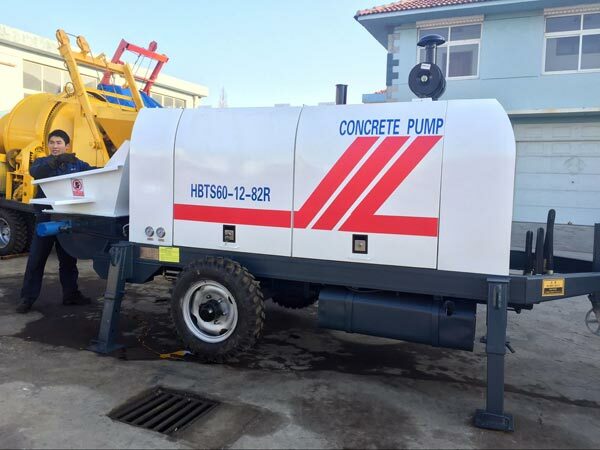 Therefore, our customers who will purchase concrete mixing pump from us are relieved because we are confident to offer best service for them! As one of the most professional mixer pump suppliers, Aimix group produces different kinds of mixer pumps. 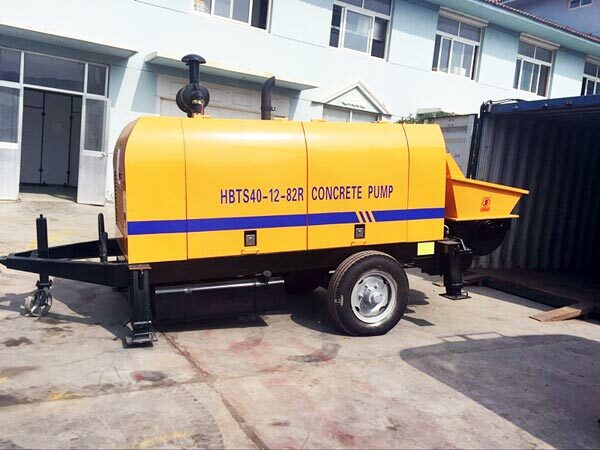 According to the difference of power system, concrete mixer pump includes electric mixer pump and diesel mixer pump. Diesel mixer pump is driven by diesel engine. We adopts Deutz to ensure its service life to the utmost extent. 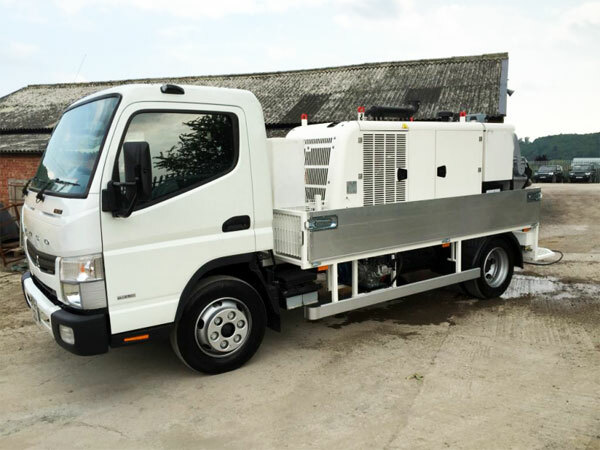 In some remote areas where electric power are not widely used, diesel type is a better choice. Similarly, you have more than one choice, such as JBS30-10-62R and JBS40-10-82R. 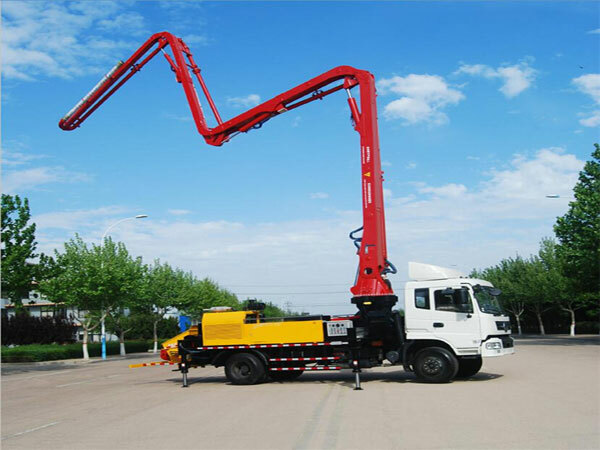 As the name implies, the power system of electric concrete mixer with pump machine is motor. Because using electricity is environmental and convenient, it is a popular choice for many people. We provide you with JBS30-10-37, JBS40-10-45, JBS40-JS500 and JBS40-JS750. 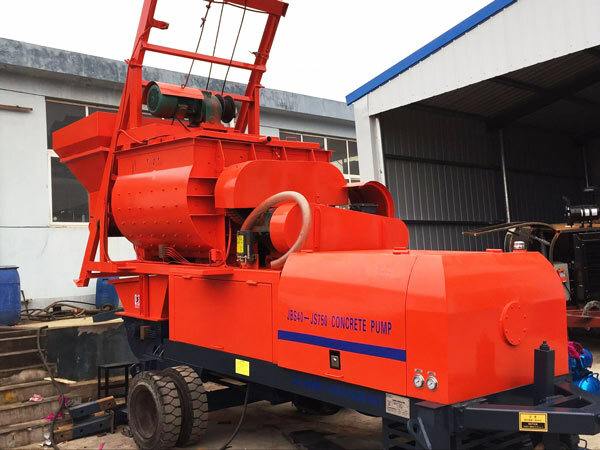 Among them, JBS40-JS50 and JBS40-JS750 belong to forced mixing pump. When it works, the motor drives two stirring shafts to rotate in reverse direction in order to achieve uniform mixing and get a better stirring effect. 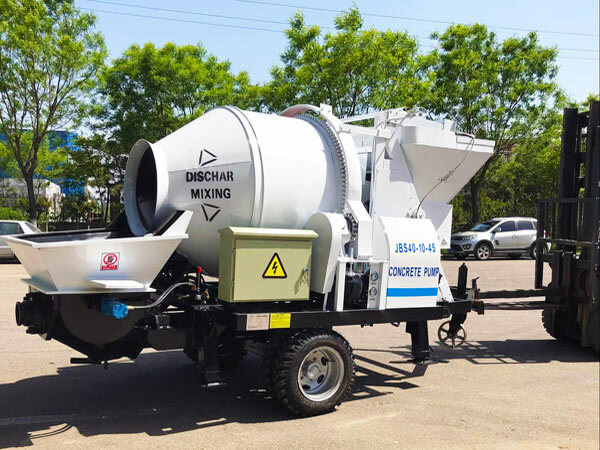 Concrete mixer with pump is a very useful machine which definitely combines the features of traditional concrete pump and concrete mixer together. It can reach the function of feeding, blending, mixing and pumping First the pump gets into the mixing system, after that it enters into the pumping system. And then it is pumped to the construction spots with the help of conveying pipes. Thanks to its fully automated construction operating system, the whole process is finished in a very short time. As one of the most popular concrete conveying equipment, more and more customers become interested in it. 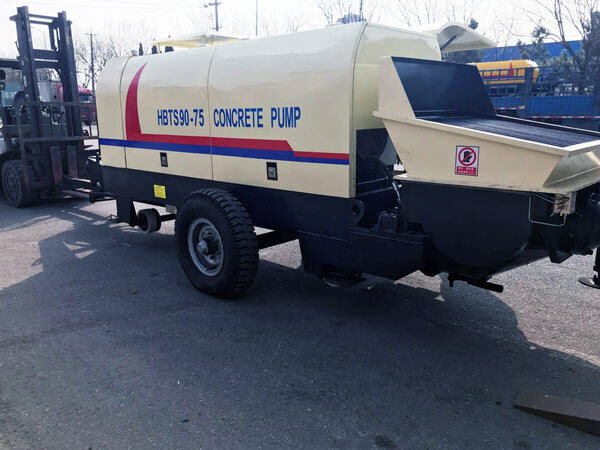 Since we take the carrying capacity of rural power into consideration, it has a much smaller power and has a larger application than common concrete pump. We adopts double open hydraulic loops. The pumping hydraulic circuit is independent of distributing hydraulic circuit. 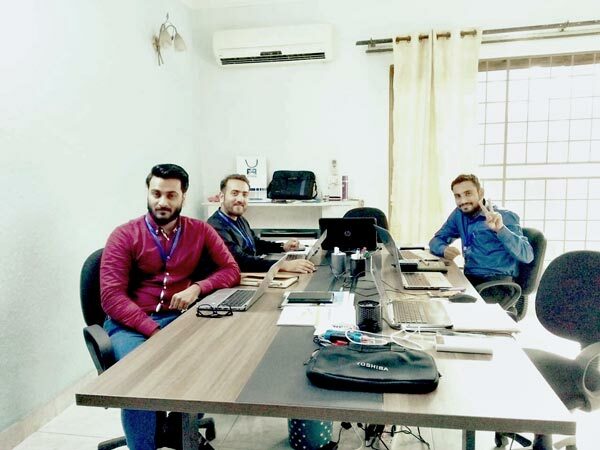 Therefore, the reliability of the whole system is also much higher as well as the components’life is prolonged greatly. It increases efficiency by makes mixing function and pumping function into one, which saves more time for other construction procedures. 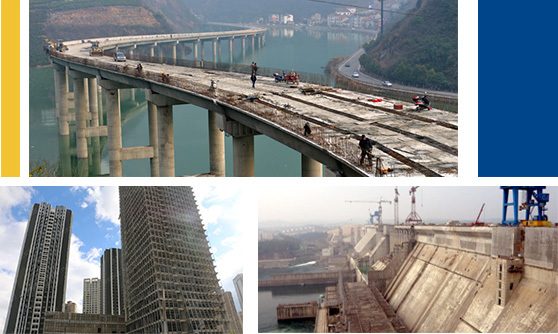 Besides, it saves labor costs and reduces labor intensity by adopting fully automated construction operating system. We can provide you with conveying pipes for free. Usually, the pipe length of small mixer pump is sixty meters. For middle mixer pump, the free length can reach to one hundred meters. 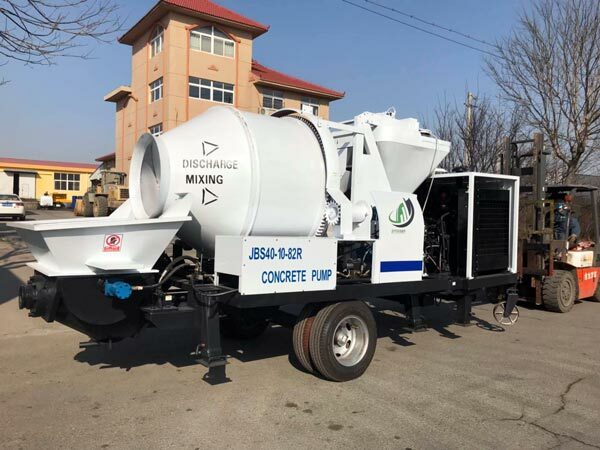 Concrete mixer with pump is most suitable for houses and commercial buildings under thirty floors, roads, water conservancy, etc. In addition, it is more popular where power and communication are scattered and on-site mixing is required. Except from that, our small mixer pump can also be used in narrow places, such as tunnels and bridges. Because it’s hard to install one mixer and one pump in those places. 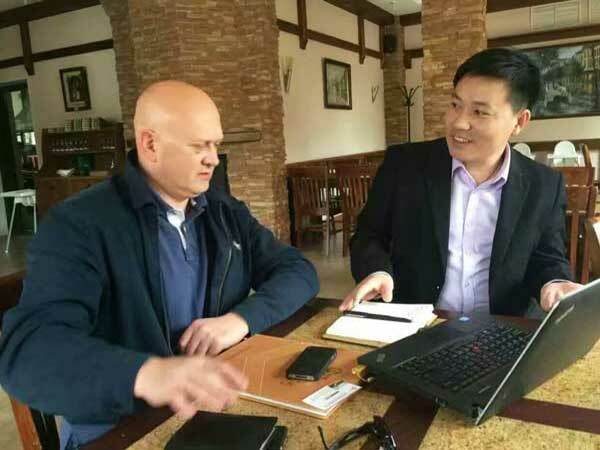 Every year, Aimix arranges our sale teams and engineers to come to visit our customers abroad. 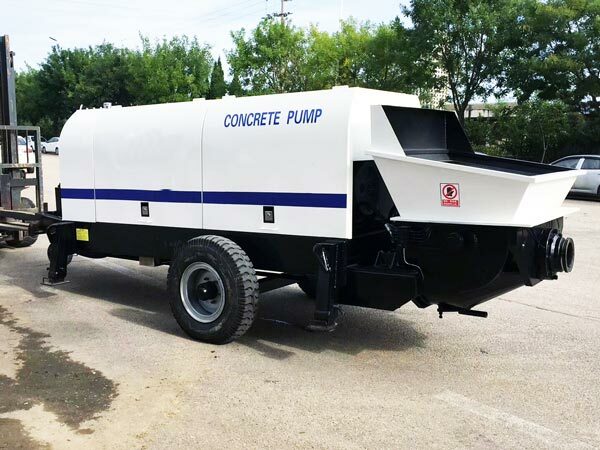 If necessary, our engineer will help check concrete mixer and pump in local areas for free. 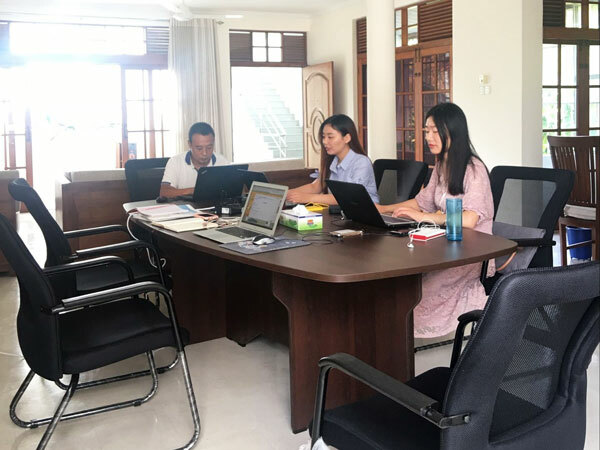 More importantly, our sale teams and customers get together for better communication on concrete pump and mixer which has applied in the construction site. 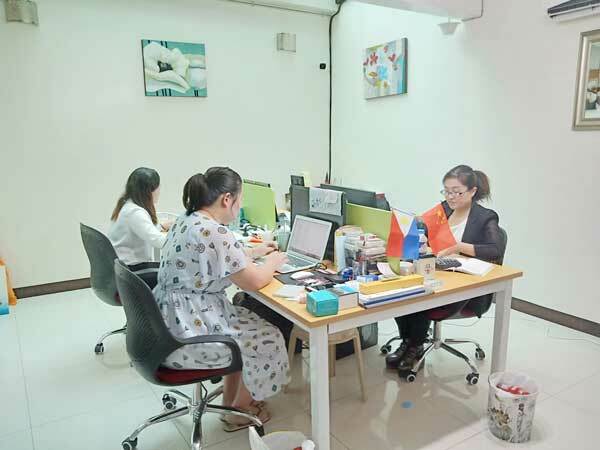 Better customer experience is significant for us, which is the main driving force to improve concrete mixing pump machine. 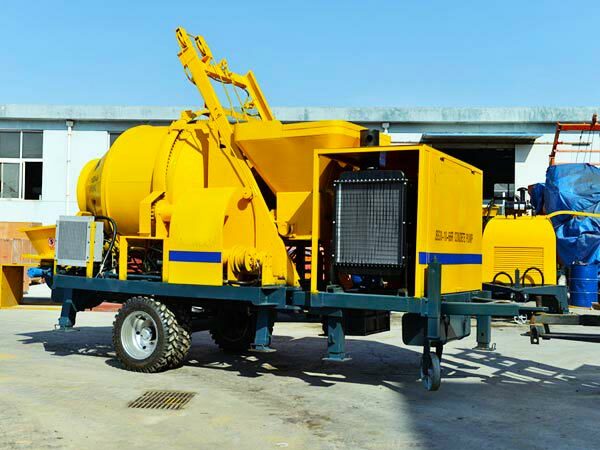 We are confident to offer ouro customer best concrete mix pump with reasonable price and high quality. It is such a great honor to serve you. Look forward to your inquiry.